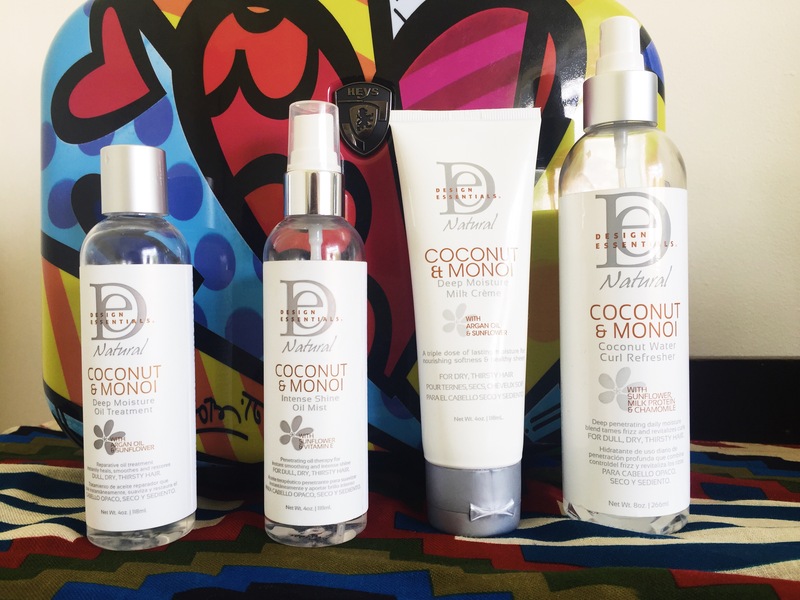 Own By Femme - REVIEW: DESIGN ESSENTIALS COCONUT & MONOI! 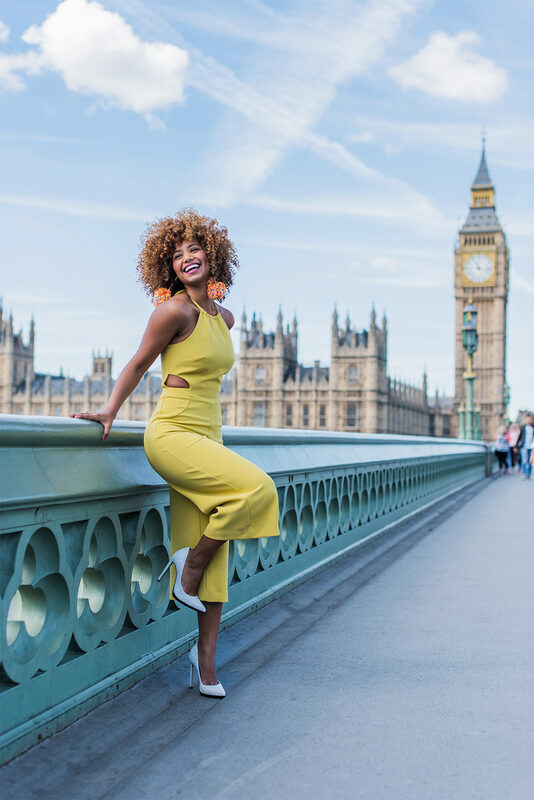 I traveled to Africa for three weeks, and in the process was presented with an opportunity to work with one of my absolute favourite natural hair brands, Design Essentials! So who is this brand? Design Essentials has been around since 1990. 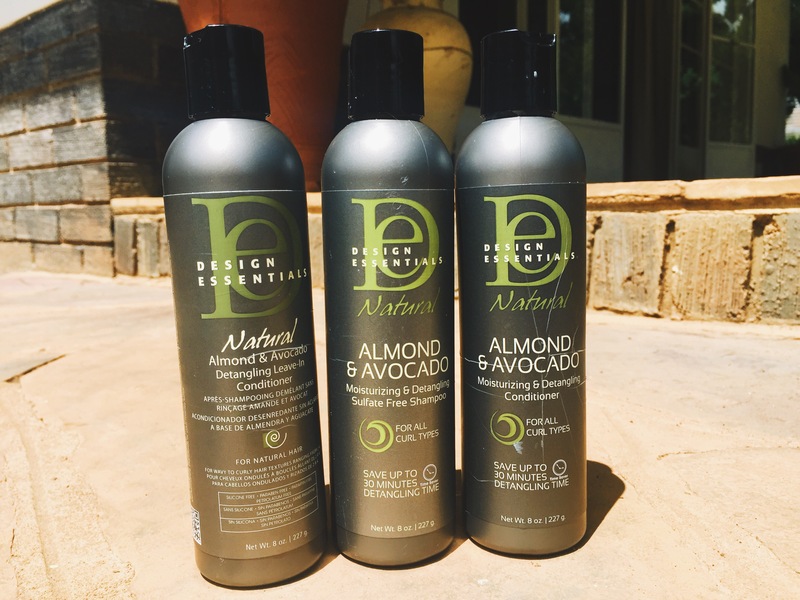 They are the number one hair care brand for professional products in the USA and number two for natural hair care products in the U.S., just behind Shea Moisture. That really says a lot considering how many natural hair care lines there are available in the current market! 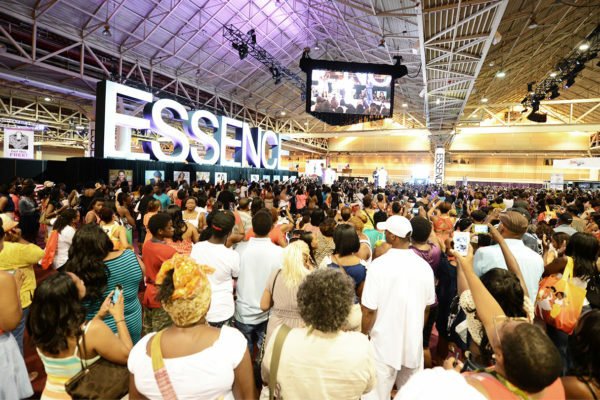 A key part of the Design Essentials brand that really sets them apart is their continued dedication to educating consumers on how to care for their hair. Not only do they create amazing products, but they support and sponsor a number of events, both domestically and internationally, that are aimed at educating their clients on how to manage their hair to grow it strong and healthy. Myself and fellow natural hair blogger, Ginny ( @FroGirlGinny), worked with Design Essentials to produce our “Fro’s In Bloom” brunch event in Johannesburg, South Africa which had over 45 beautiful curly girls come out and engage with us. Each attendee left with a Design Essentials goodie bag which had a few full size products in it! From my experience with the products, the basics behind this line is to add lots of moisture to the hair and then to seal it in with oil. So moisturise and seal. Moisturise and seal. 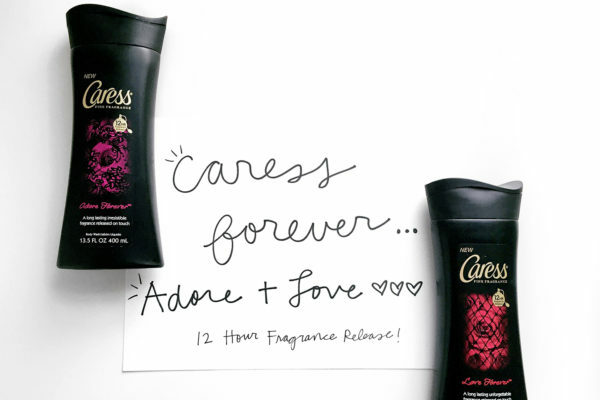 The products are lightly fragranced leaving the hair smelling fresh and clean. Each product is packed with a number of beautiful ingredients such as argon oil, coconut oil, sunflower oil, vitamin E and of course monoi oil. Oooo but what exactly is monoi oil? I have heard of it many times but in actual fact, was quite unsure as to what exactly it was until I started using Design Essentials. Monoi oil is made by infusing our beloved coconut oil with Tiare Tahitian flowers. You let the flowers soak in pure coconut oil for a period of time during which the combination produces a light and fragranced oil. This oil helps moisturise and sooth the hair shaft while locking in protein. Protein loss in hair results in breakage and poor growth so this property is super beneficial in growing long and healthy hair! WHAT DESIGN ESSENTIALS PRODUCTS DO I USE? 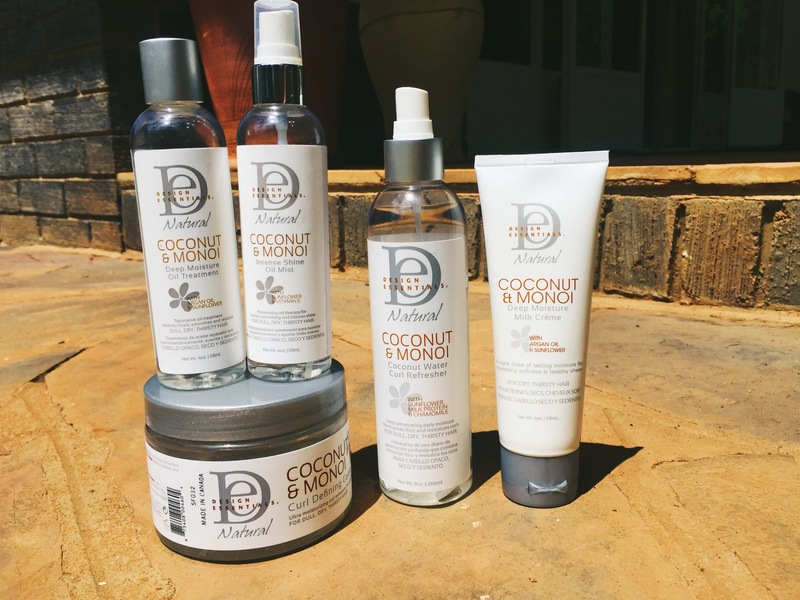 As much as I have talked about the Coconut + Monoi Oil line, I actually use their Almond + Avocado line to start off with. It consists of the shampoo, the conditioner, and the leave in conditioner. This line is geared towards moisturising and detangling. I haven’t found a more moisture rich shampoo and conditioner duo than this set here. Twice I “forgot” aka was too lazy, to add products to my hair after doing the wash process in the shower. The first time I was jet lagged and the second time I was just tired, yet both times my hair still felt so moisturised. I don’t recommend you leave your hair high and dry post wash day, but I can assure you this line would be the best one to attempt that with! For the shampoo, conditioner, and leave in conditioner bundle it costs $35 which is a great price for what you are getting. For the styling process I like to follow the L-O-C method. If you are not familiar with the L-O-C method, it basically means you use a Liquid product first (water based), then an Oil, then a thick styling Cream or gel. I apply the Almond + Avocado leave in conditioner to damp hair and distribute it evenly using my fingers or my Tangle Teezer brush. 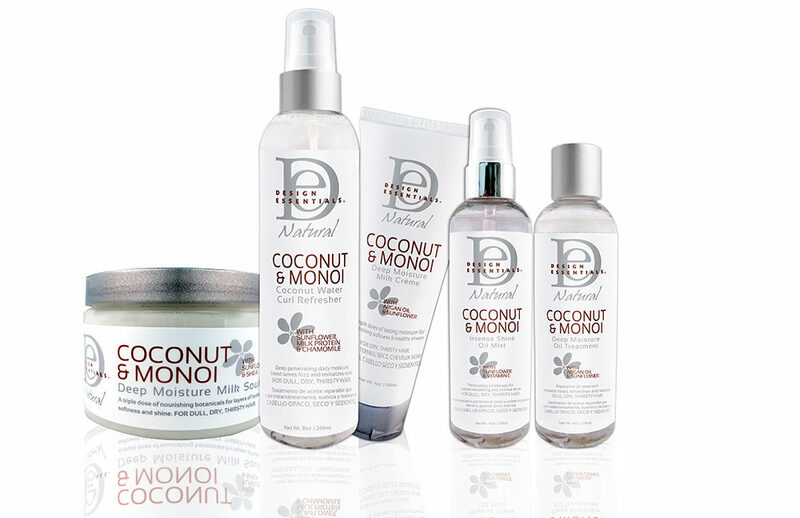 Then, using my fingers again, I like to add the Coconut + Monoi Deep Moisture Oil Treatment. I try to start as close to the root as possible when applying this one as it helps to separate the curls so they become more defined. Finally I like to add the Coconut + Monoi Deep Moisture Milk Créme from the middle of the shaft to the ends to help reduce frizz and really seal in the moisture. This hair cream is nice and thick so you will really see its benefits on day two and three hair where moisture retention is much more noticeable. At night I like to sleep with my hair in a pineapple. I loosely tie my hair up using my favourite ties Snappees, then I wrap my hair using a silk/satin scarf. This method keeps the ends curly and reduced breakage. It also helps retain moisture that would be lost by resting your hair directly on cotton pillow cases. 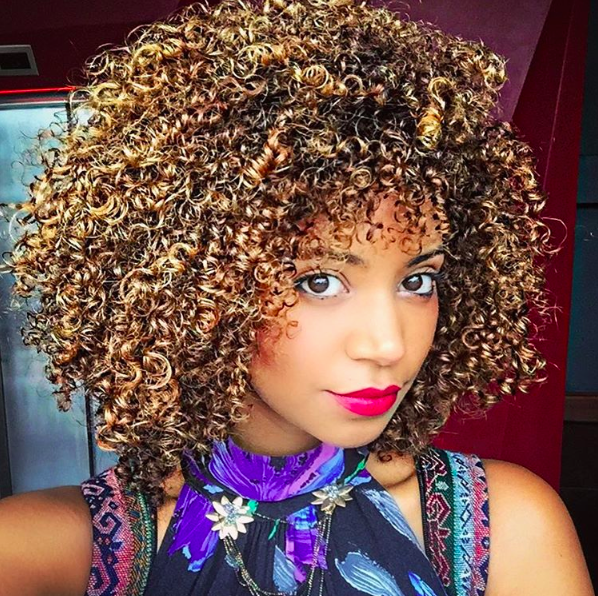 The cotton absorbs moisture from your curls during the night leaving you with dry, frizzy hair in the morning. When I take down my wrap in the morning I like to apply the Coconut Water Curl Refresher, which comes as a liquid in a spray bottle, followed by the Coconut + Monoi Intense Shine Oil Mist. These two for me work like magic. 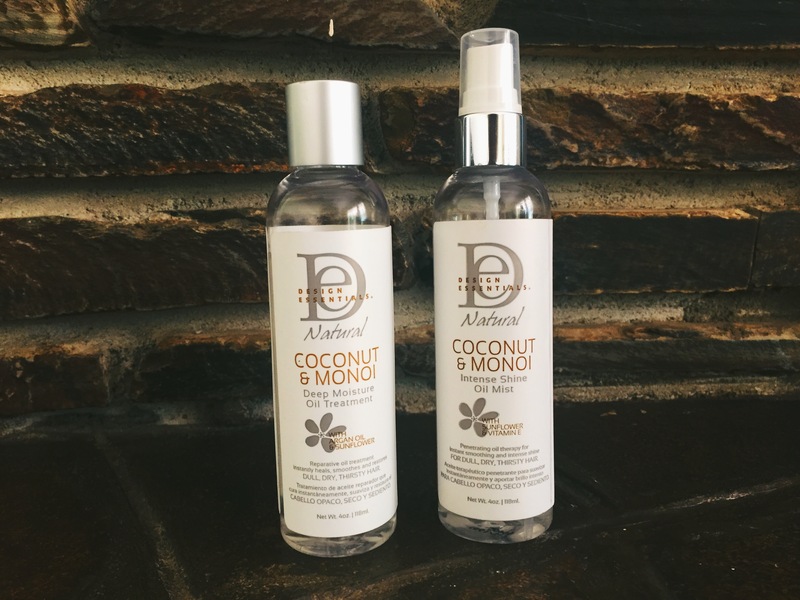 The liquid spray helps return moisture without making the hair heavy. You don’t want to add much product on day two and three curls because they already have plenty! The mist is lovely to seal in the moisture from the liquid, and also to help keep the curls soft and malleable. Hope this review was helpful for you! NEXTSOUTH AFRICAN CLOTHING BRAND MAKOTIS! I’ve been seeing Design Essentials around lately, not years as you indicated they’ve been around, but maybe I’m just noticing it more now as I come along in this journey – natural – having cut my relaxed hair off in June 2015. 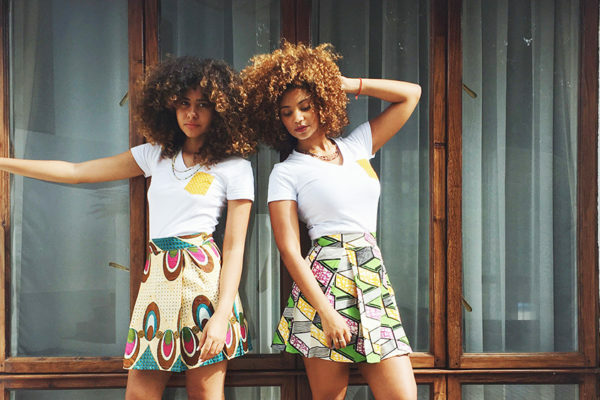 I wasn’t aware the brand was geared towards ‘naturals’, serving the wavy, curly, coily community. Definitely did not realise they were such a giant in the natural market either. Your results with their products are absolutely amazing, I recall seeing a couple pics on the ‘gram. I’ll definitely be further looking into their products, and hopefully can have the opportunity to try them here in in the triangle – aka Bermuda – if not, I’ll have to wait til I’m stateside in NYC. I have long heard of how Tahiti Monoi oil is great in natural hair care. You mentioned that the oil helps moisturize and soothe the hair shaft while locking in protein. Such an informative post! Do you use any hair masques or deep conditioners?